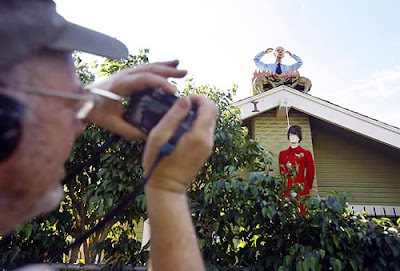 An effigy of Vice-Presidential hopeful Sarah Palin hanging by a noose created an uproar in West Hollywood, CA. The noose represents a hateful time in America where people were lynched in a racist drive for authority and justice. Used as a means to terrorize those who challenged white supremacy, lynching was done ritualistically and publicly and often targeted black people. Over the last few years, CNN has reported the re-emergence of noose incidents throughout the US, the latest of which is this horrid display masked as a Halloween trick. Los Angeles sheriff's officials say the Halloween display isn't a hate crime. But regardless of political beliefs and given the symbolism of the noose, this is an act worthy of condemnation and should not be tolerated.